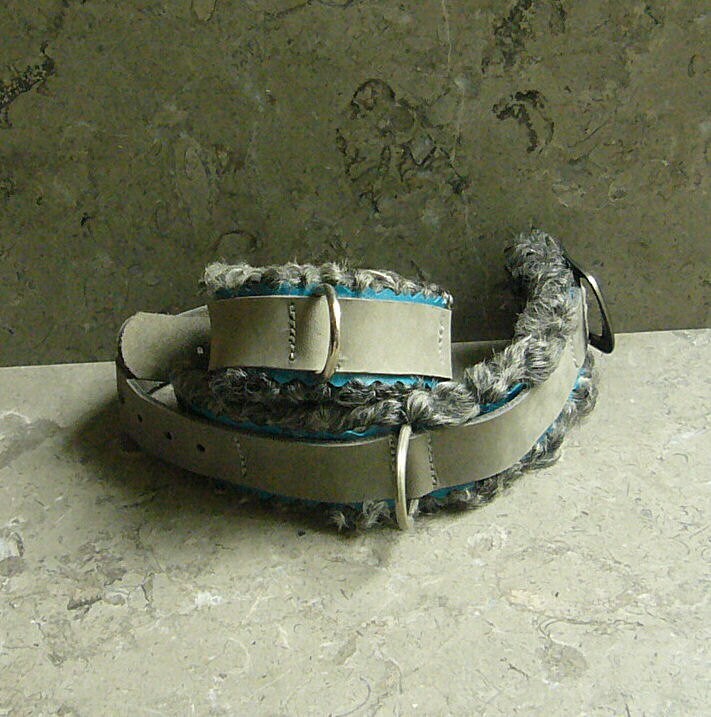 For those with a preference for a refined style of restraint, this cuff is real "persian" curly lamb accented with turquoise kidskin and grey nappe cowhide adjustment strap. Its luxurious feel and look belies its strength! (Note: the lamb is upcycled from a coat). 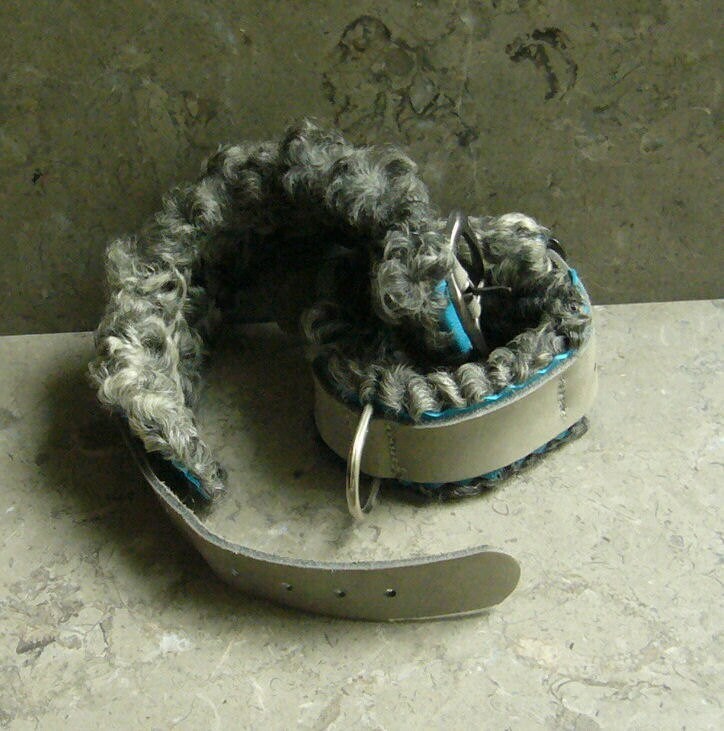 The persian lamb is wrapped around a thick inner cowhide strap for support, which also means the "edge" is also lamb, and is 7 1/2" long and 1" wide, but 1 3/8" with the curly hair. The center is covered with a 1" wide kidskin layer edged with a wavy pattern. On the buckle side the kidskin doubles over only its right side shows. 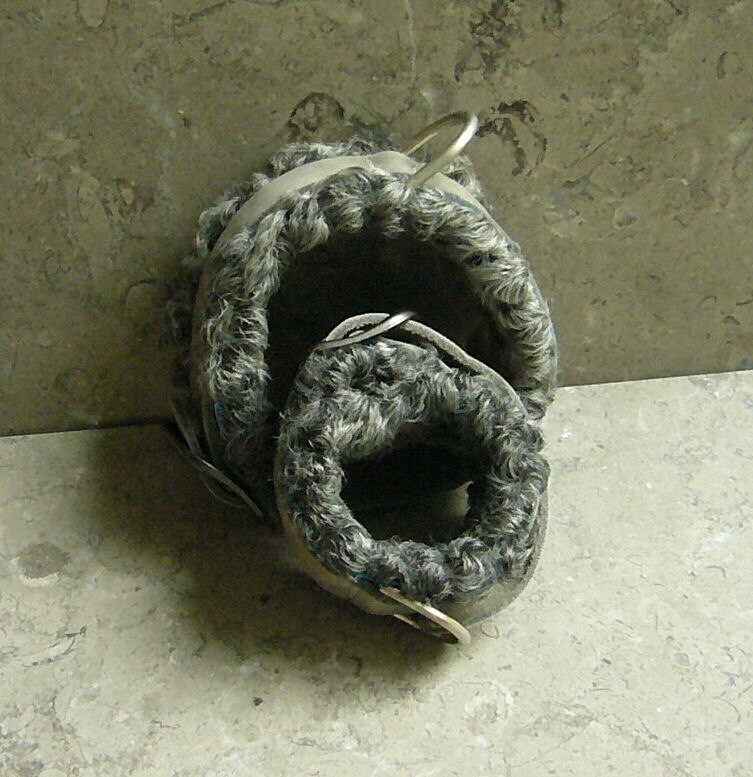 The adjustment strap is 3/4" wide and 11" long. 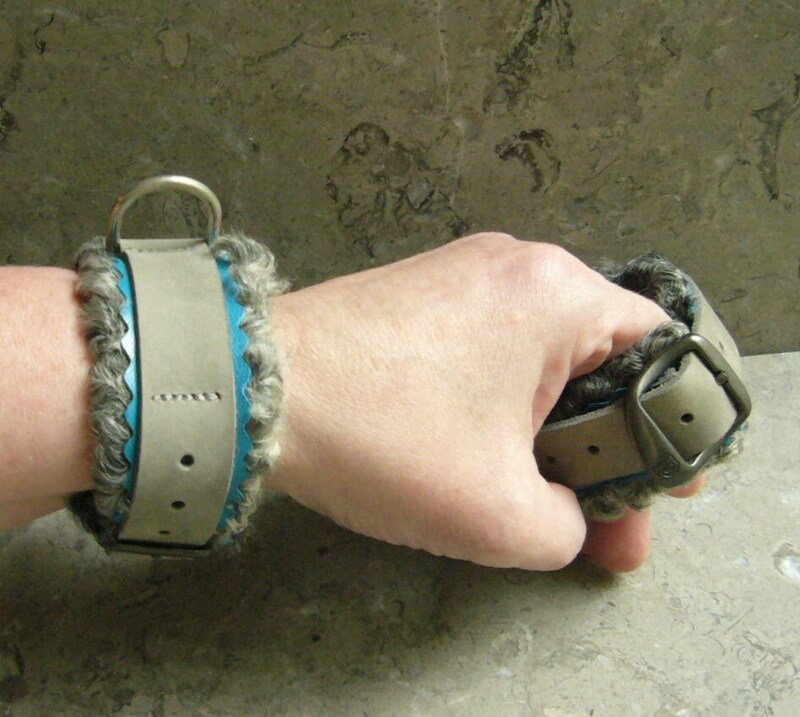 It is securely sewn down to the main body at four points, but the hole end allows the strap to overlap, so it can fit wrists as small as about 6", and the strap goes up nearly 10" diameter, so can fit nearly any wrist, or smaller ankles. (Though this leather is strong, because it is supple, it may give a bit over time). 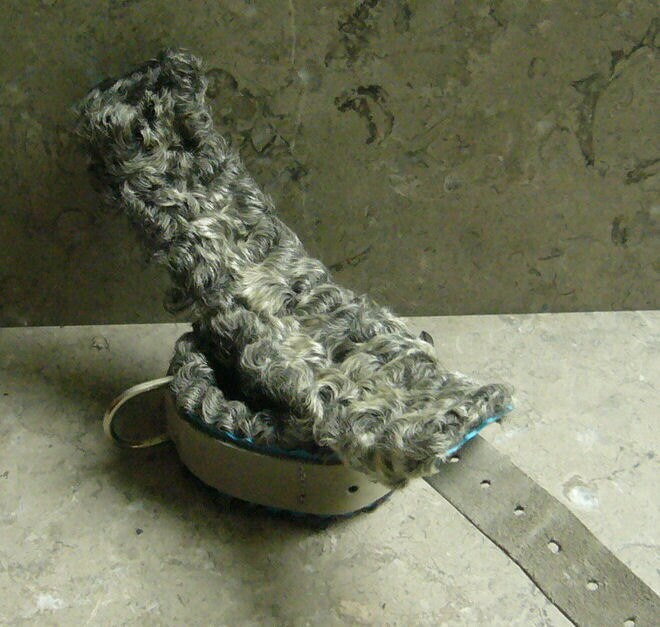 A large nickel d-ring is secured between the adjustment strap and kidskin and can be laid flat in either direction. The buckle is brass in a gun metal finish.